Tune.pk is a very popular Pakistani video sharing site with so many different themes. More and more users are willing to upload and share videos on it now. If we want to download Tune.pk video and watch videos offline, is there a good way? Of course, please follow the 4 solutions to get the Tune.pk videos download method successfully! Download the recommended tune.pk video downloader to get started. Tune.pk is a Pakistan-based online video sharing site that enables registered users to upload, rate, comment videos, subscribe channels, etc. Tune.pk can provide local content about Pakistan to the globe. However, there will be video buffering and a lot of advertisements around the video during the playback, which may give users very bad experience and feelings. Therefore, a large number of people are eager to find some convenient methods to know about how to download videos from Tune.pk. So here are 4 convenient solutions to download video from Tune.pk for you. Free HD Video Converter Factory enables to download videos from Tune.pk, YouTube, Vimeo, etc. And convert some videos you’ve downloaded to more than 300+ video formats and devices. So that you can watch them offline. Free download it now! WonderFox never advocates any illegal downloads, please make sure your actions are legal in your country. All downloaded songs and videos cannot be used for any commercial activities. Free HD Video Converter Factory is a free software which can help you to download videos from YouTube, Facebook, and other 300+ video websites. Now, let’s learn how to download Tune.pk videos using this amazing Tune.pk video downloader. Before start, please free downloadfree download and install Free HD Video Converter Factory on your Windows computer. Copy the URL of the video that you want to download and open Free HD Video Converter Factory. Then, click “Download Video” button on the top of the interface. Paste the URL to the “Add URL” box. Press “Analyze” button to start the analyze process. Once you have the downloaded video, you can also change video format to suit different devices. Then, set the output path for your converted files. Finally, click “Run” button in the lower right corner to begin the process. First, you should install the Browser Extension / Add-ons - Video Download Helper in the browser. Here are two ways to download and install the Browser Extension / Add-ons - Video Download Helper for you. Then, I will show you the second method to download Tune.pk videos with 3 steps. When you restart your browser and play the video on Tune.pk. You will see the Video Download Helper icon in the top right corner of the page and click it. Please select the video you want to download from the drop-down menu and click the drop-down button to the right of the video you want to download. In the drop-down menu bar, select the method you want to download and choose the storage location to download successfully. If you want to download Liveleak video or YouTube video, this method is also applicable. If you want to convert the downloaded video format, you can also select the Download & Convert button to select the video format conversion. Before that, you should still copy the URL of the video you want to download in Tune.pk. Step 2: Paste the URL and press download button. Step 3: Choose the download links below. Note: There is something wrong with the videos downloaded from above two online downloaders, Sometimes the downloaded video will be out of sync with the audio, which will affect the viewing. If you want to download Tune.pk videos from Chrome and Firefox directly, this one is right for you. Follow the steps. Before start, you should play the video on Chrome/Firefox. 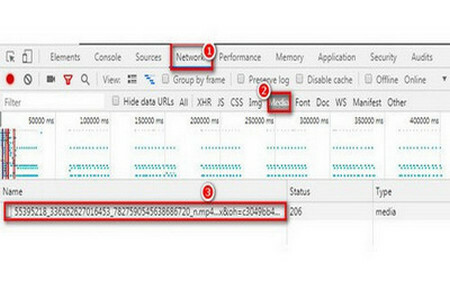 Step 1: Click F12 or click on the right blank space to select “Inspect” in Chrome or “Inspect Element” in Firefox. Step 2: Click the “Network” tab, then click the “Media” subtab below. Step 3: Press F5 to refresh the current page and you will see a link in the lower left corner below. But it's hard to find the video link at the most time. Step 4: Right click on the link to open a new tab, and the video will be played on this page. Step 5: Click the download button to download the video to your PC. If there is no download button, please click right and choose save video as the place that you want to download. I hope the above four methods to download Tune.pk videos will help you. If yes, please share this article with your friends. 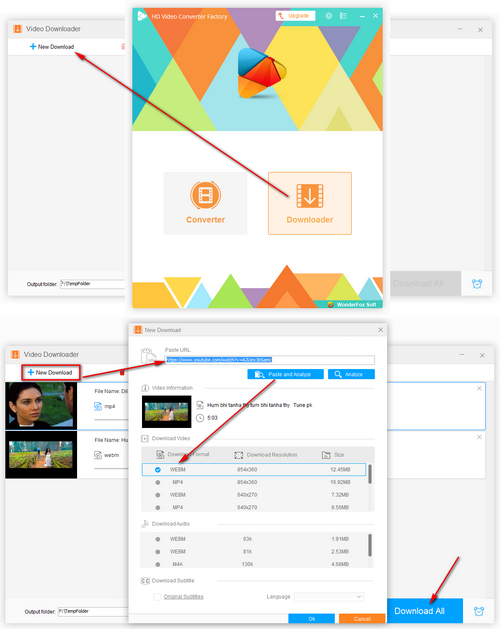 Compared with online downloader, Free HD Video Converter Factory is a fantastic desktop video downloader, converter, which can support saving videos from YouTube, Tune.pk, Liveleak, BBC and other more video-sharing sites and keep original quality. Go to download and have a try. WonderFox HD Video Converter Factory Pro is a multiple-functional video converter. 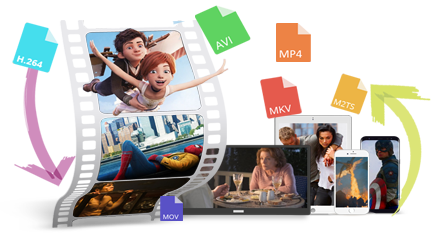 It can not only provide an easy way to download videos from some mainstream media video sites, but help you to convert any video format to other video formats. Just have a try.